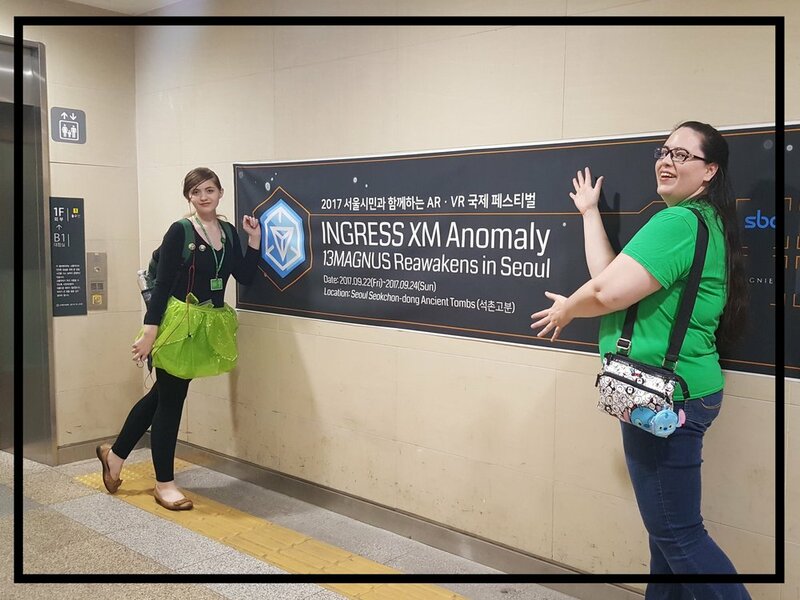 This weekend, Amy and I traveled to Seoul to compete in the recent Ingress anomaly series "Magnus 13." 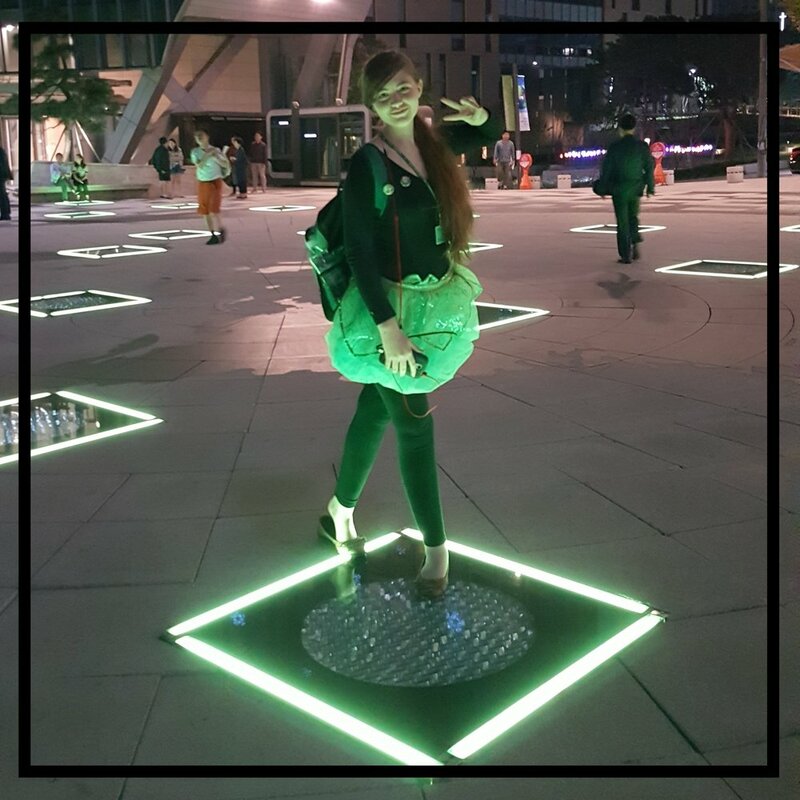 In case you didn't know we are Enlightened Agents in the world of Ingress. 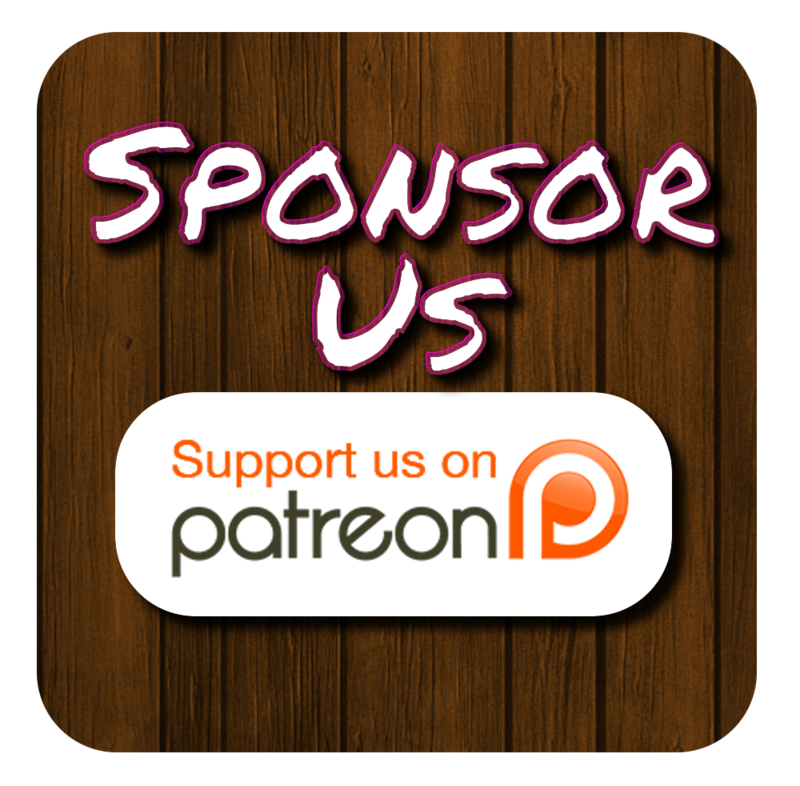 Our faction has aligned themselves with powerful beings known as the Shapers who have decided to open our eyes to the beauty in the world around us through XM that is found in large quantities by portals that we locate on our scanners. By hacking these portals, we gain equipment like XMP bursters to attack resistance faction resonators so we can capture these portals and link them together in groups of three to create fields. The fields gain us control over the local population and is measured in MU, or mind units. After the anomaly, there is always a huge gathering where ALL the agents come out to see who won. This is usually an even larger gathering than registration since many players might be registered and disappear to do other tasks, or register the night before. This is always my favorite part because you get to see the massive influx of green and blue wearing agents flood the area all at once. 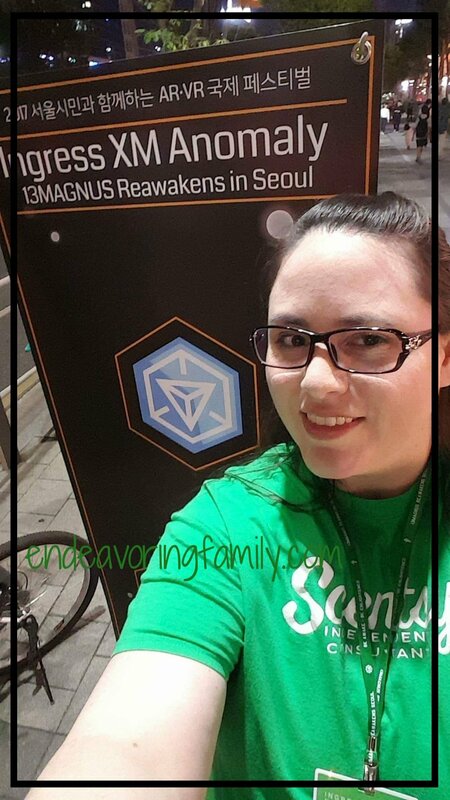 It is so fun to see non-ingress players faces and is SUCH a sight to see! 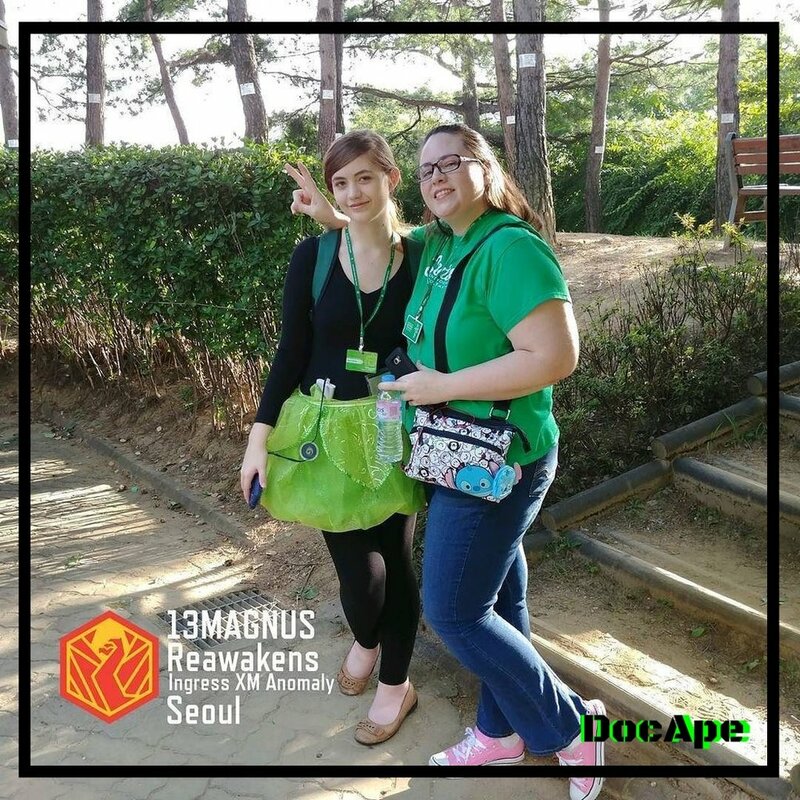 We were so excited to meet new people this year, since we weren't able to play at other anomalies here in Korea. More than that, we were excited to see a face we hadn't seen since our first anomaly in New Orleans, LA. As we were the English team was made up of Americans, Koreans, Canadians, and Europeans. It was great to meet them all and I hope to connect with them again. 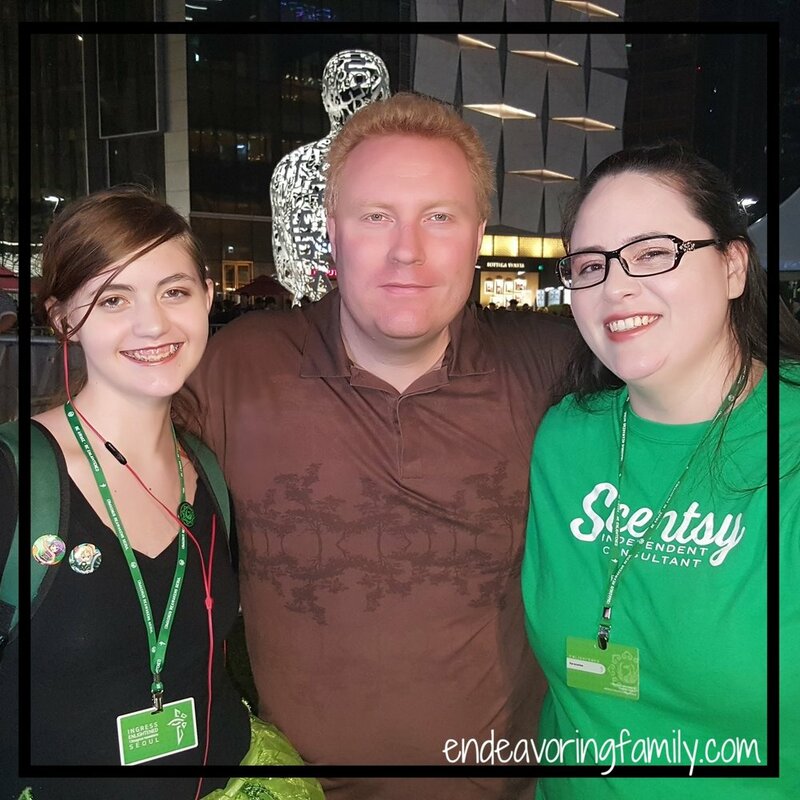 We didn't stay for the Enlightened after party because we had to catch our train home, but, we plan to do so at the next anomaly we attend. So, who won? I guess you'll have to watch the video to find out. In the meantime, hit us up on our contact form if you'd like an invite to play our game... and GO ENLIGHTENED!